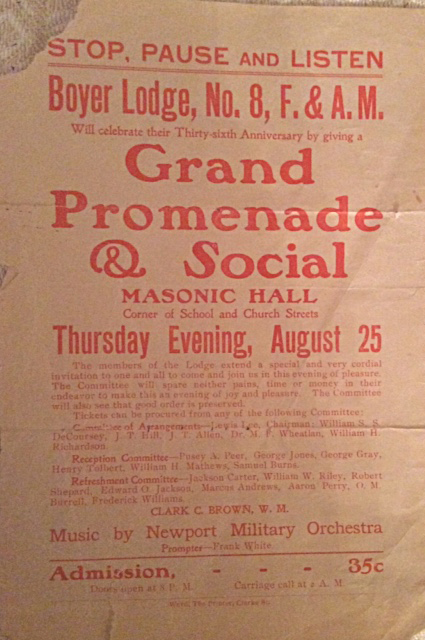 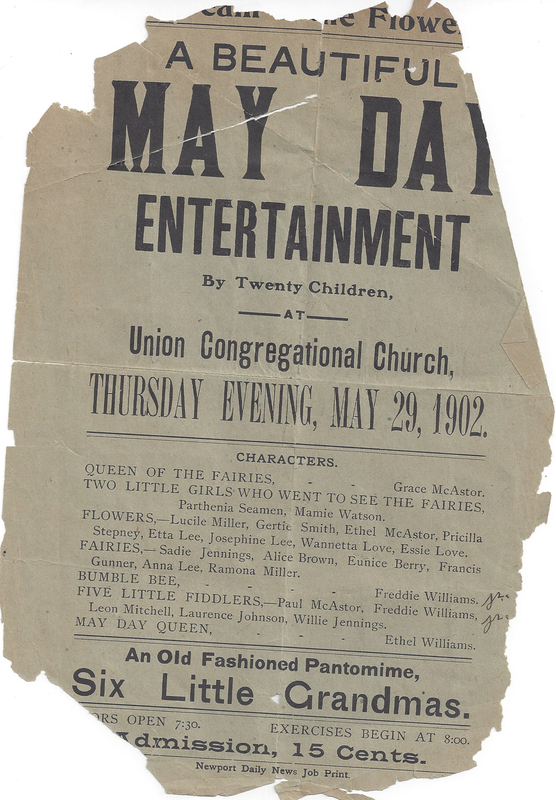 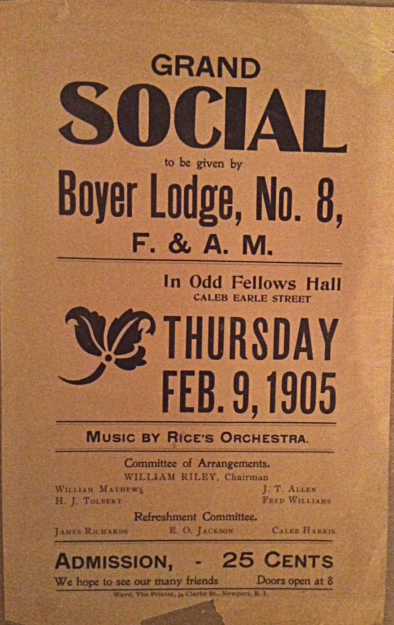 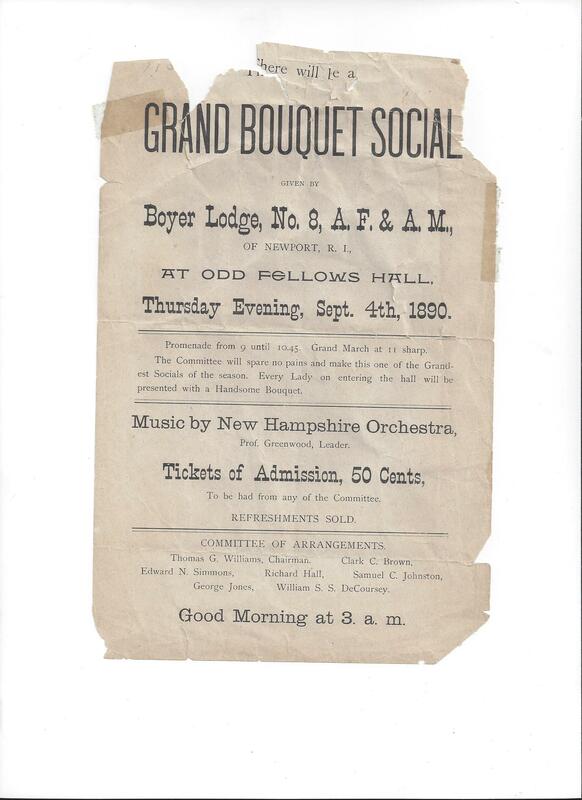 During the Gilded Age, Newport would have numerous African heritage social clubs and fraternal organizations including Odd Fellows, Boyer Lodge, B.F. Gardner Commandery, Knights of Pythias, Sheba Court #3, Queen Ester Lodge #11 and Stone Mill Lodge. 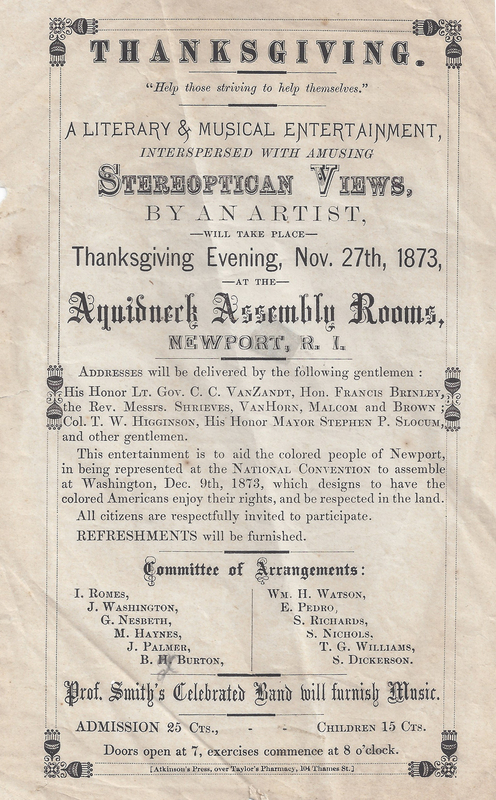 These organizations would become the civic and educational lifeblood for all persons of color during a time when much of America and Newport were still separated by race and class. 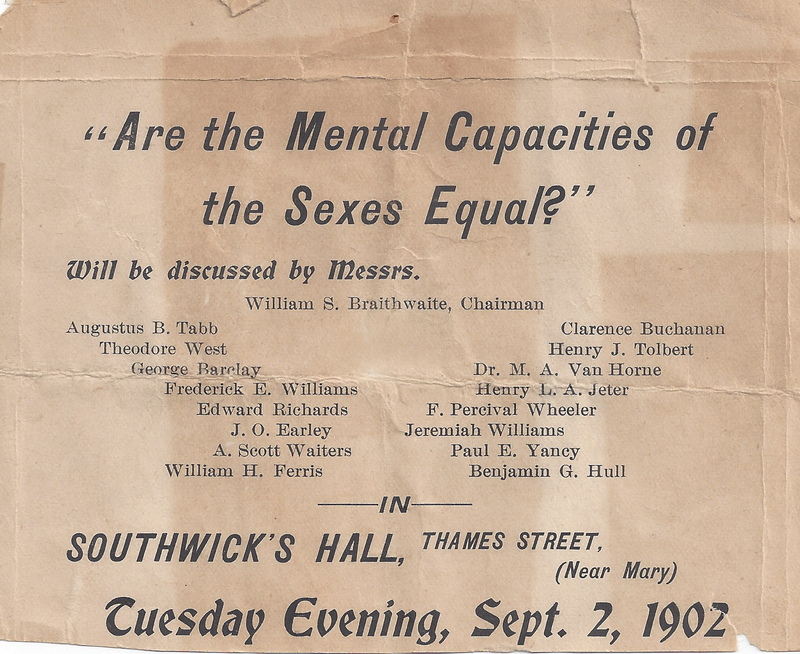 There were several African American men’s clubs that focused on the important social and political issues, with Women’s Suffrage one of the hotly debated issues of the day. 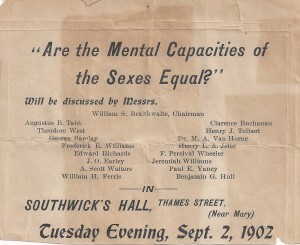 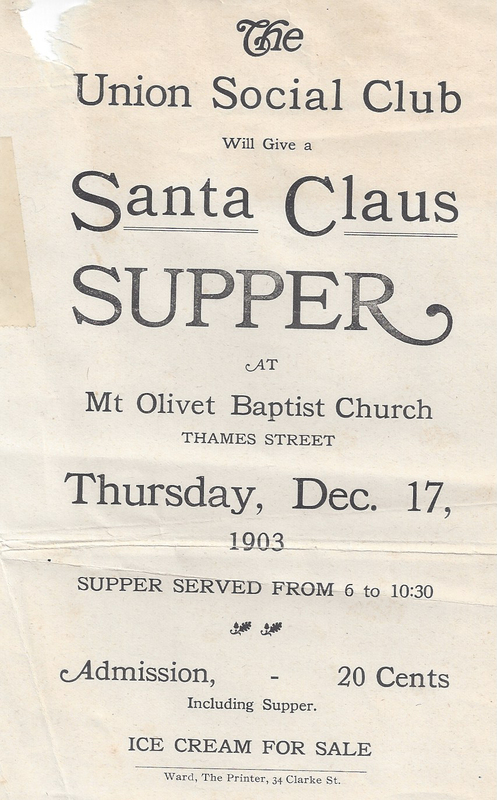 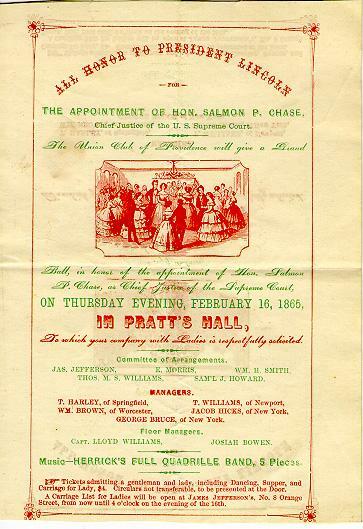 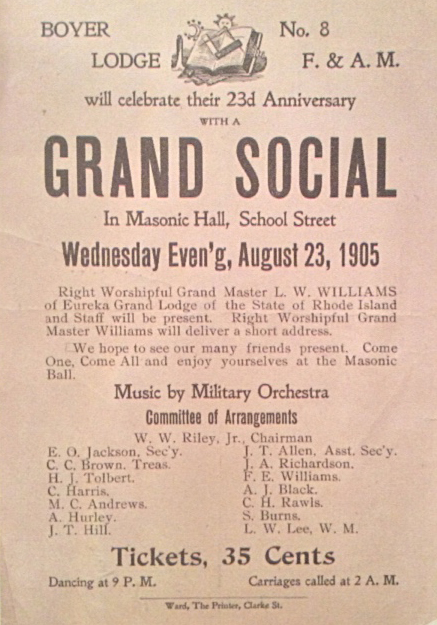 The image above is from an event sponsored by Newport African American club led by nationally renowned literary critic William Stanley Braithwaite.